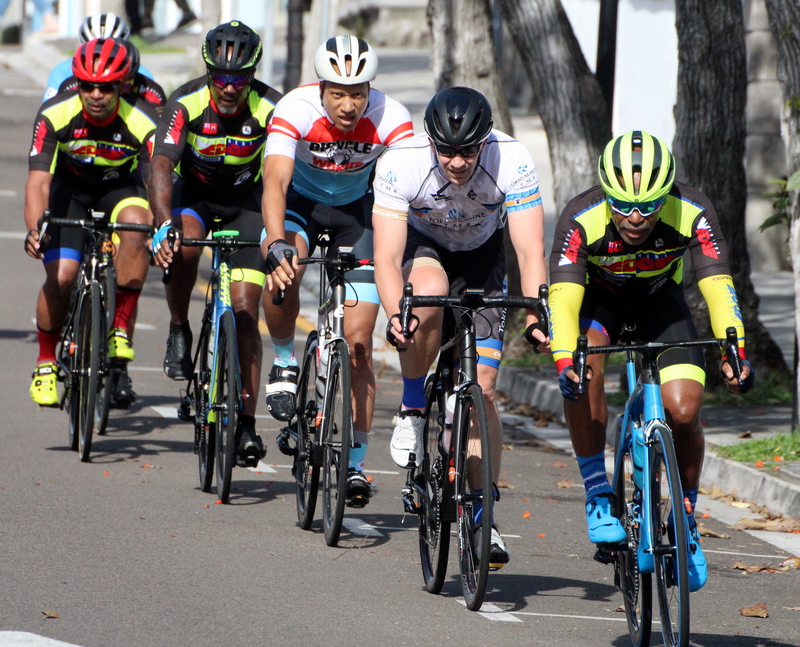 A total of 57 riders continued competing in the 2019 edition of the Bermuda Bicycle Association’s Bermuda Grand Prix in St. David’s. Day Two saw the cyclist compete in a Road Race, Dominique Mahyo will take a now 33 second lead into Sunday’s Crit in the Male A Division when he was clocked across the line in a time of 1:43.32, he now has a two day time of 1:44:10, Jamie Cousins is second with an overall time of 1:44.43 and Nicholas Narraway is in third with a time of 1:44.49. Louise Well continues to lead the Women’s Division with an overall time of 1:14.47, she leads Karen Smith by 4 seconds as she will go into the final day with an overall time of 1:14.51, which is the same time that third place Dianna White has. The closes race going into the final day is in the Male B Division as Clifford Roberts with an overall time of 1:25.16, Wouter Aarts moved into second place with a time of 1:25.18 and Tommy Marshall is third clocking 1:25.19. 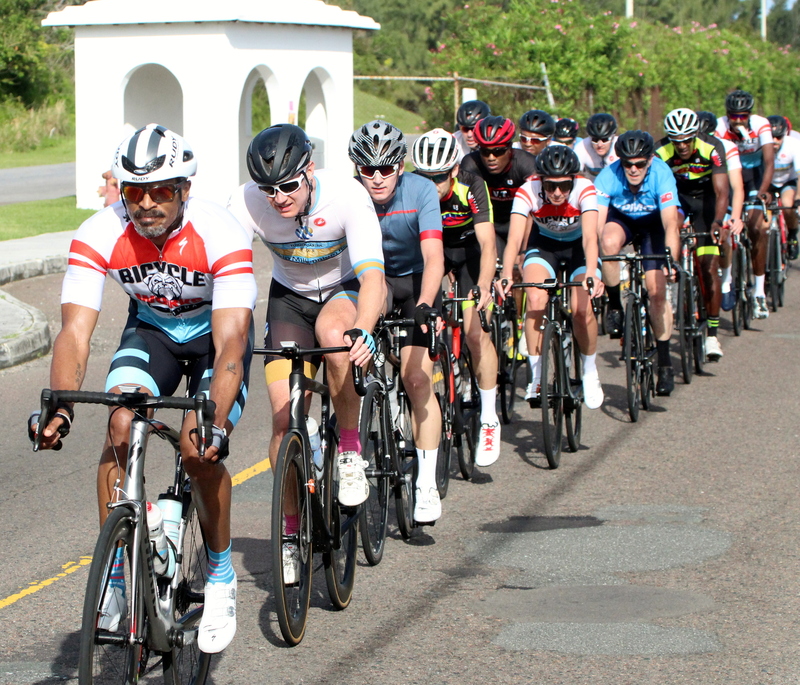 A total of 66 riders began competing in the 2019 edition of the Bermuda Bicycle Association’s Bermuda Grand Prix in St. George’s. Day One saw the cyclist compete in a Time Trial, Dominique Mahyo will take a four second lead into Saturday’s Road Race in the Male A Division when he was clocked across the line in a time of 44.892, Jamie Cousins was second in 49.309 and Darren Glasford was third in 51.071. Louise Well clocked the fastest Women’s Division time of 1:07.2, Karen Smith was second in 1:09.0 and Liana Medeiros was third in 1:10.5. Clifford Roberts leads the Male B Division after turning in a time of 52.411, Tommy Marshall was second in 53.555 and Wouter Aarts was third in 53.978. The VT Construction Madison Road Race produced three photo finishes at Southside. Darren Glasford won the Adult A Division when he was clocked across the line in a time of 1:22:18.321 his Winners Edge teammate Alex Miller was second in 1:22:18.675 and Kwame Curling finished third stopping the clock in a time of 1:22:20.686. Anthony Smith won the Adult C Division when he was clocked across the line in 1:14:36.316, Frank Ming was second in 1:14:36.407 and Mark Lombardi was ruled across the lien third with a time of 1:14:36.602. Karen Smith picked up the win in the Women’s Division when she was clocked in 1:20:17.567, Wenda Roberts was second in 1:24:10.995 and Dianna White finished third with a time of 1:24:12.542. 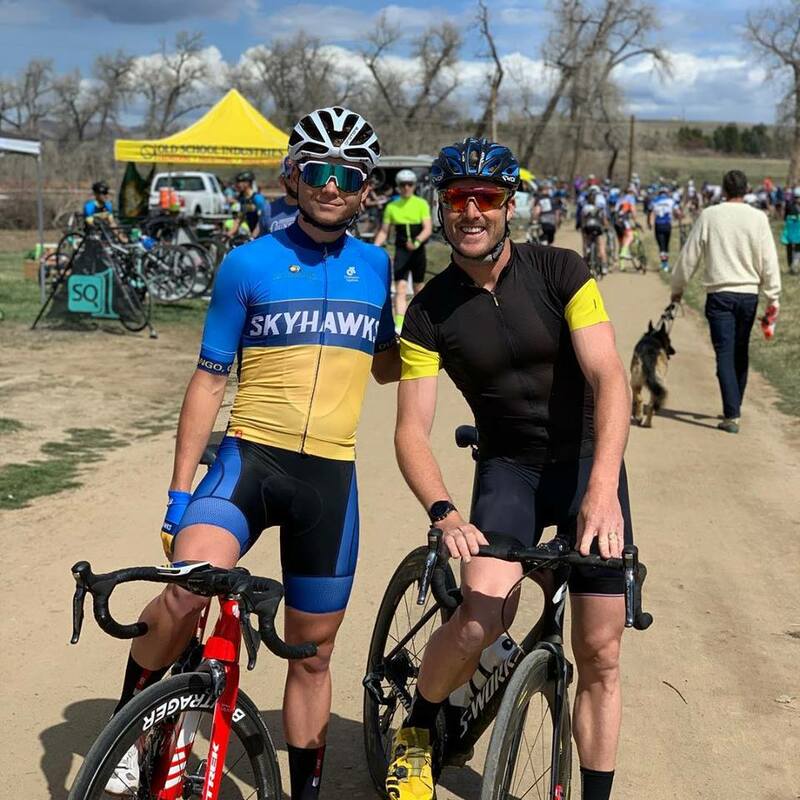 Tyler Butterfield and Kaden Hopkins competed in the Boulder Roubaix Bike Race. Competing in the Men Pro 1, 2 Division Butterfield finished 13th crossing the line in a time of 3:05:46.95. Colin Strickland clocked a winning time of 2:57:55.53, Colby Lange was second in a time of 2:57:55.53 and Kevin Girkins crossed the line third with a time of 3:02:19.77. 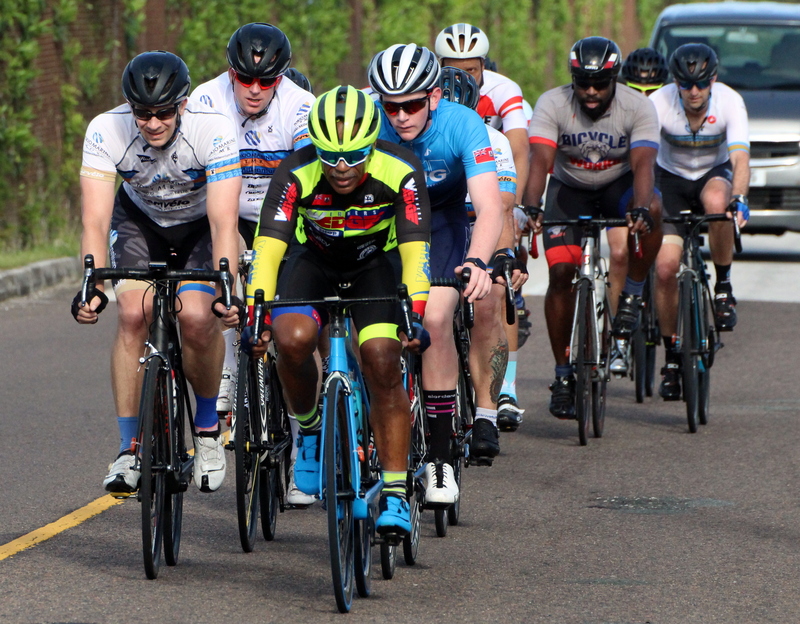 The course saw the cyclist complete four laps, Butterfield clocked a time of 44:12 on the first lap, he would then clock his fastest lap second time around with a time of 43:51. Butterfield would then clock a time of 47:34 on the third lap before closing out with a time of 50:08 on the final lap. Hopkins finished 22nd while competing in the Collegiate Men’s A Division clocking a time of 2:28.31.02, Hopkins would only complete three of the four laps, he clocked 47.25 on the first lap, before clocking 47.34 on the second lap, before recording a time of 53.37 on the third lap. The Collegiate Men’s A race was won by Garrett Gerchar who was clocked in a time of 3:08:17.50, finishing second Grant Ellwood who clocked 3:08:17.52 and Reade Warner was third in 3:08:17.54.